Ethiopia — Justin Dunnavant, Ph.D.
My dissertation research focused on the issues of representation, tourism, and archaeology among the Wolaita of southern Ethiopia. Museums in Ethiopia have the unique challenges of representing both diverse cultural groups and a long period of human occupation. Over the last decade, the proliferation of local, ethnically-based museums has created a unique discourse as heritage professionals and minority groups grapple with the challenges of what heritage to display and which narratives to tell. This resrearch explores representational strategies employed in national, community-based, and private museal spaces. Tourism in Ethiopia focuses predominantely on Christian and Medieval era sites in Northern Ethiopia. 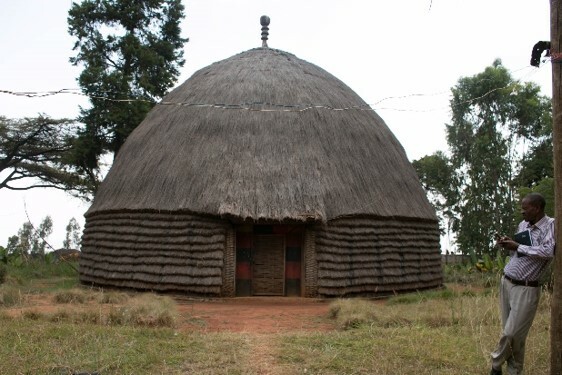 Heritage tourism research in southern Ethiopia explores the socio-economic implication of the Northern Heritage Route while also investigating the potential to develop cultural heritage tourism in the southern region. Much of the historical archaeology research in Ethiopia has centered on the kingdoms in the North. Archaeological excavation in the town of Dalbo, just outside of Wolaita Sodo, were directed at locating the palace of the last king of the Woliata, Kawa Tona Gaga. The larger project hopes to investigate the development of independent kingdoms in southern Ethiopia.